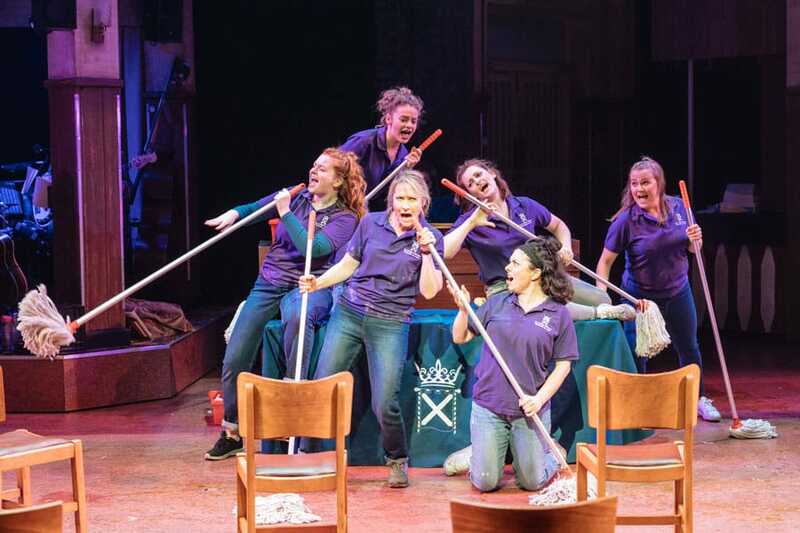 Jonathan Hall reviews Sunshine On Leith which is now playing at the West Yorkshire Playhouse ahead of UK tour dates. 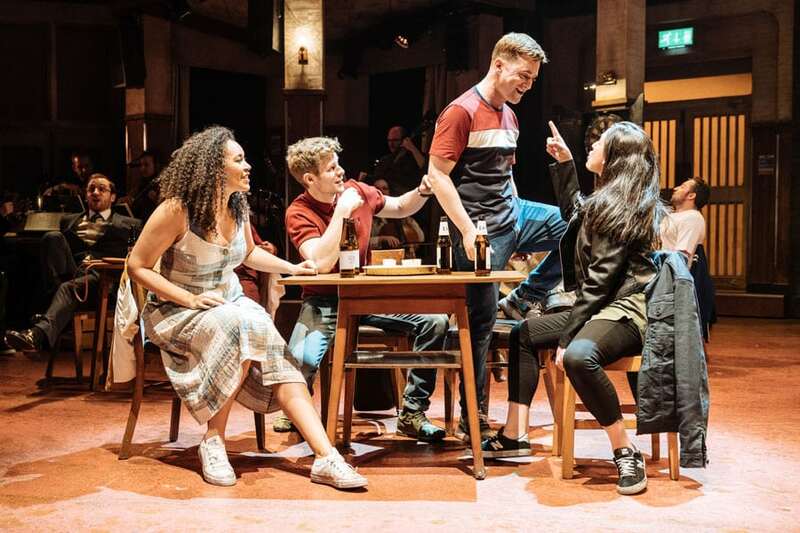 Sunshine on Leith, the jukebox musical featuring the songs of the Proclaimers, is a foot stamping, hand-clapping barnstormer of a show that by the end had the audience up on its feet stamping and clapping their 100% approval. The story’s simple- boy meets girl, boy and girl meet problems, girl dumps boy and so on, to the shows inevitable life-affirming conclusion. In the meanwhile a second couple cope with cataclysmic revelations from the cast and a third couple are driven apart because of the dreams that just aren’t going to be realised in hometown Edinburgh. However inject this fairly straightforward story with the genius that are the lyrics and melodies of the Proclaimers and you have something else again; a story that’s infused throughout with poetry, insight and perception. Take the fact that those melodies are sung by everyday people in everyday situations- a woman mopping a hospital ward, the bored members of a call centre- and you’ve something that has a universal beauty and a truth that has a direct line through to that part of our psyche that has one singing into hairbrushes or mirrors in pub toilets. And if on occasions that story bulges slightly at the seams in order to accommodate the various facts spelt out by the lyrics- who really cares? 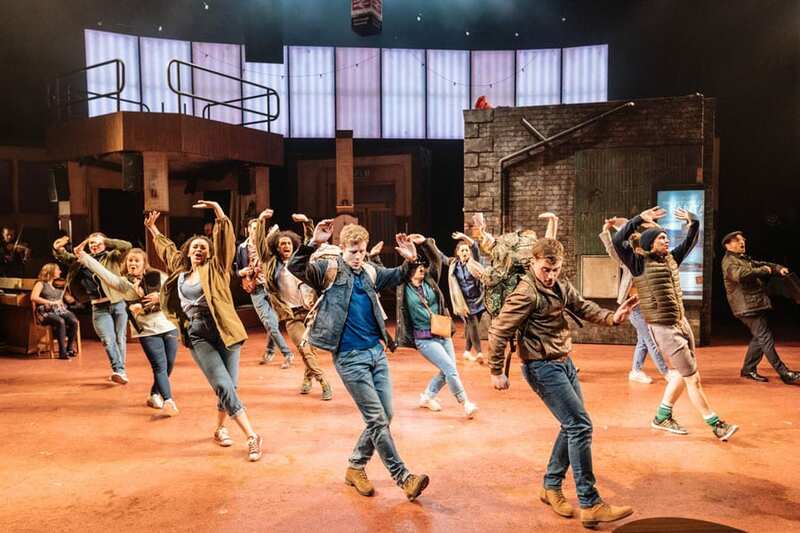 The show is directed with an energy and vigour by Playhouse artistic director James Brining; an urban jigsaw of a set by Colin Richmond glides and slides from social club to hospital to street to station, the various changes oiled by guitar strumming musicians and a cast joyously choreographed by Emily-Jane Boyle. 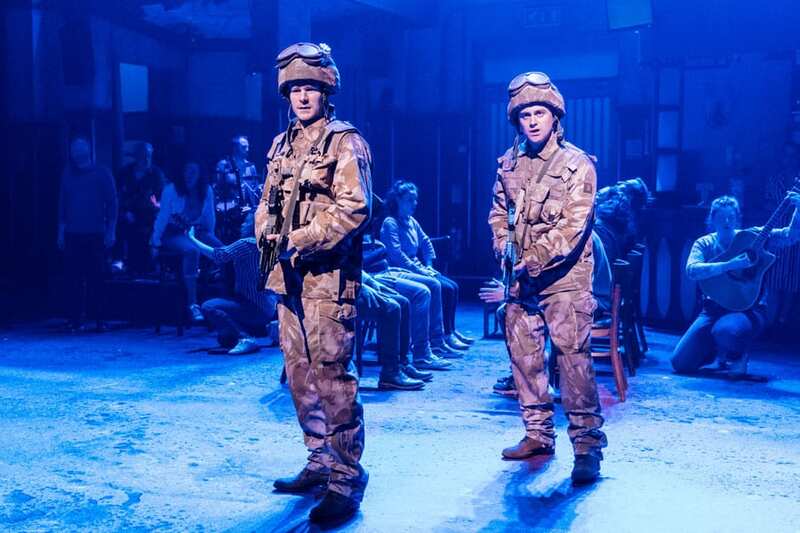 The cast were uniformly great; Jocasta Almgill and Steven Miller play the nurse and squaddie with such sweet sincerity we have no problems investing out emotions in them. They’re ably supported by Hilary Maclean and Phil McKee as the couple coping with seismic revelations from the past; the former’s singing of “Then I Met you’ was a special emotional highlight, as was Neshla Caplan as the daughter dreaming of distant places. Special mention must also be made of the lady doing the signing who was signing, singing and jigging right along there with the rest of the company. The climax of the evening showcases the Proclaimers most famous song, ‘500 miles’; here fourth wall was well and truly broken down as the cast sang to the audience and the audience sang right back at the cast; when the stage was deluged with primary coloured balloons it felt the perfect coda to a terrific and joyous evening.